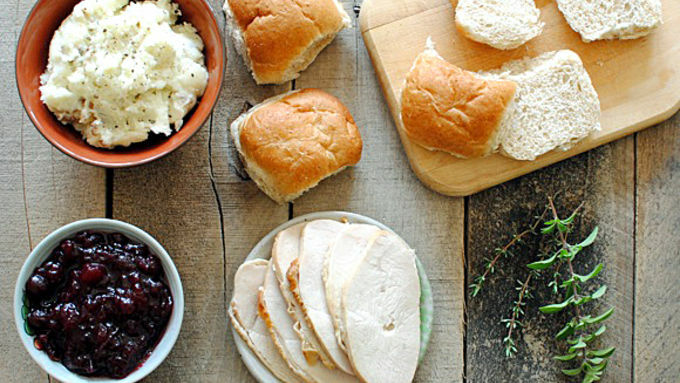 Begin by gathering your leftovers and other ingredients. 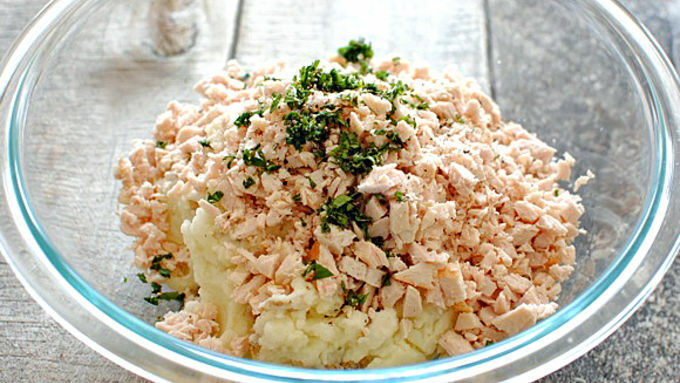 In a large bowl, combine the mashed potatoes, chopped turkey, thyme, oregano, and a pinch of salt and pepper. Mash until fully combined. Using your hands, form little balls with the mixture. Heat a 1 tbsp. of extra-virgin olive oil in a large skillet. 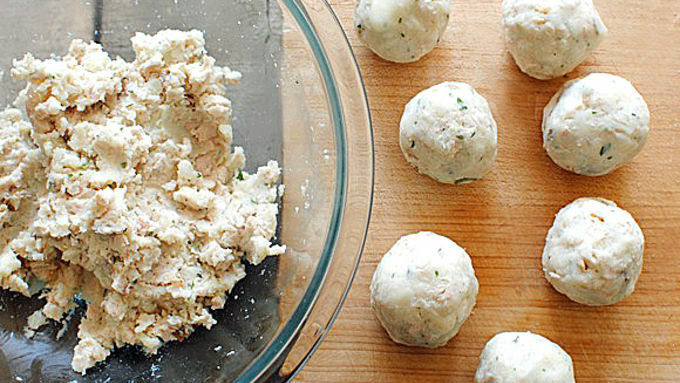 Carefully arrange the turkey potato balls in the pan and sear on all sides until browned and crispy, about 7 minutes. 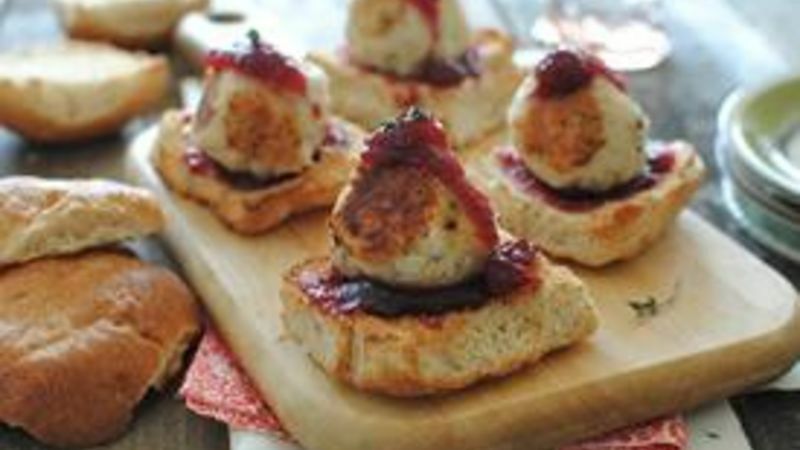 Place each ball on a toasted wheat bun and drizzle with the cranberry sauce. 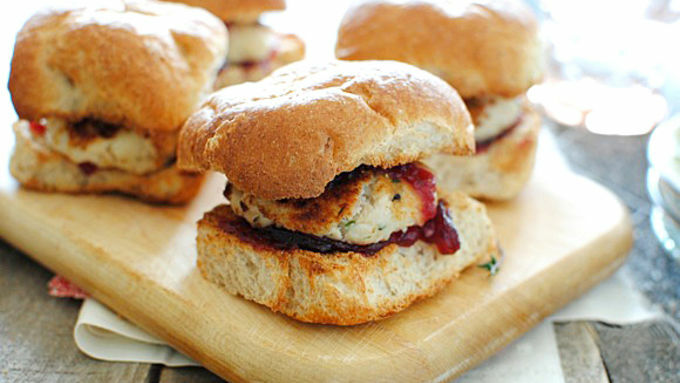 Serve sliders immediately.